While neither Buick nor GM have announced anything, our friends over at GM Authority have researched the OEM’s future. Their conclusion: we can expect 5 new Buick crossovers by the end of 2020. This educated whim of speculation could be spot-on, as the crossover and SUV markets are booming and Buick is ending its Cascada convertible and LaCrosse premium full-size sedan. Creating a strong crossover lineup would make Buick unstoppable in 2020. GM Authority’s research suggests that this opens the door to Buick launching a major crossover attack in the automotive industry. Expected second-generation models for this year would be the Encore and Envision. 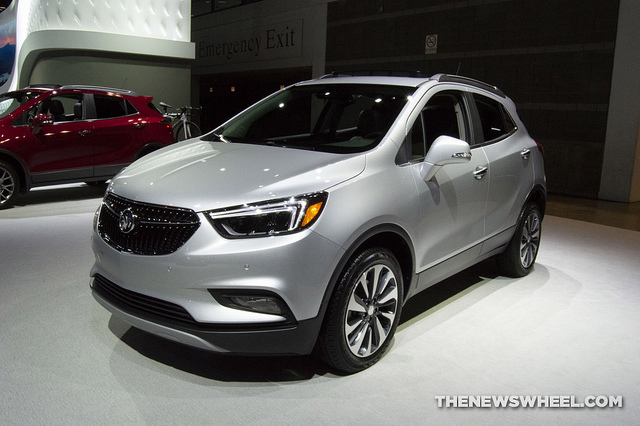 Buick will likely build the next Encore with more premium features to differentiate it from the Chevy Trax. The next Envision however could be a China-only vehicle, as its past model has seen more success there than here in the United States. This makes the upcoming Enspire a likely replacement for the model when it arrives in the U.S. — likely in late 2020 as a 2021 model — with an internal combustion engine. A fourth crossover under the Encore will make its debut in China as well. It will be the same size as the Encore, but will lack premium features, as do the Verano and Excelle. The fifth and final crossover that GM Authority sees coming next year is the midsize Buick Envoy. It will feature three rows of seats and be about the size of a Cadillac XT6. Read more about GM Authority’s findings at the link below, and let us know what Buick is working on next.